Rhiannon and Russell tied the knot at a garden-esque venue called The Springs. 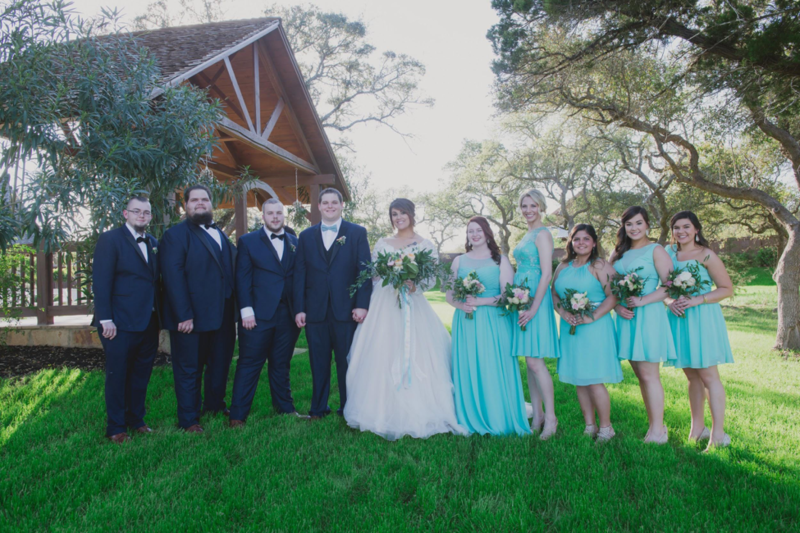 Their magical day featured a vintage garden theme and lots of greenery with pops of turquoise, cream, gold, champagne and blush. All photos were taken courtesy of the talents at Lisa Lytton Photography. 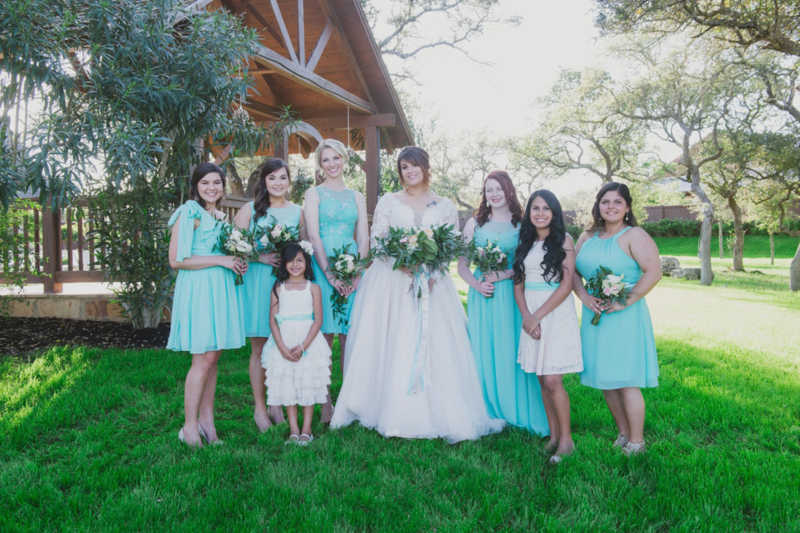 These lovely gals wore an assortment of Azazie bridesmaids dresses, including the Aliya, Kaya and Victoria. Q: Where did you have your wedding? Q: Pick the best part of the day. Q: What made you choose Azazie for your bridesmaids dresses? Q: Where did you find Azazie? Q: Any advice for brides-to-be? Q: How was the wedding planning process for you? 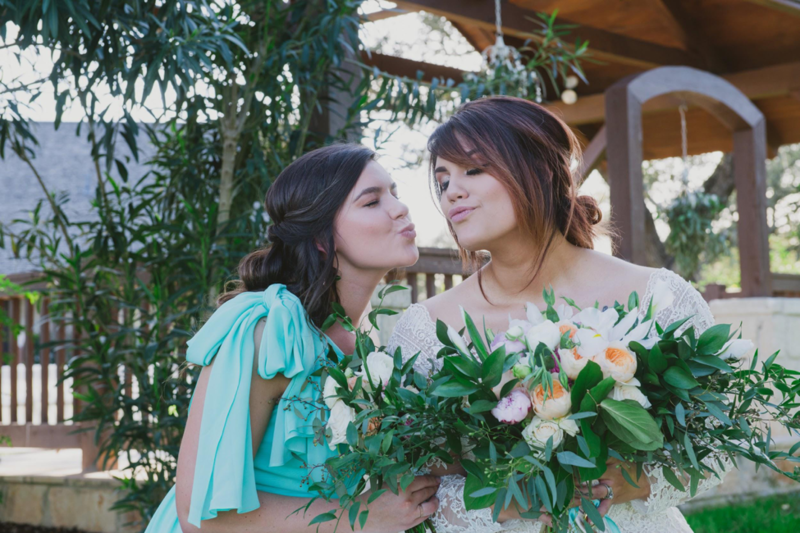 Can you please tell me what color these bridesmaid dresses are? I got a bunch of swatches but none seem as bright and beautiful as this color! Thanks!